The explosion of the atomic bomb over the city on August 6, 1945 ensured that, henceforth, the city’s name would be one of the most recognizable in the world. It’s tragic history combined with ease of access by bullet train puts it on the itineraries of many overseas visitors. It can be argued that Hiroshima’s legacy cannot be fully understood without spending a few days exploring the place and, more importantly, interacting with its people. However, it’s a sad fact that many travelers spend little more than a day on a whirlwind tours of the Peace Memorial Museum and the nearby island of Miyajima, leaving the city without a true appreciation of all it has to offer. Hiroshima city has come along way since the mid-1990s when the Lonely Planet travel guide book said of Hiroshima, “Although it’s a busy, prosperous, not unattractive industrial city, visitors would have little reason to leave the shinkansen in Hiroshima... were it not for that terrible instant on 6 August 1945.” It was around this time, however, that a new breed of business owners and entrepreneurs began to work at making their city the kind of place they wanted to work and play in. 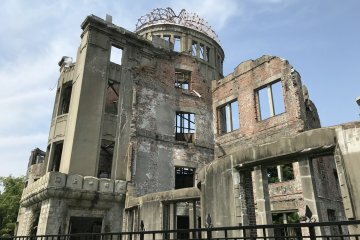 A decade later, Hiroshima was included, along with Tokyo and Kyoto, in its list of the world’s top 200 cities, citing not only the city’s iconic role as a beacon of hope, but also its hospitable people, vibrant culture and entertainment. 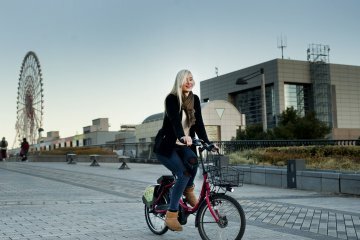 Hiroshima city is easy to navigate on foot, bicycle or by its great public transport system: trams, trains, buses, monorails and ferries. The city is filled with wide boulevards and paths which run alongside the many rivers that carve through the delta on which it was built. These things help make a stay in Hiroshima relatively stress free. Since Hiroshima has long attracted many people from all over the world, non-Japanese travelers feels relatively unobtrusive, which is somewhat unusual in a Japanese city of this size. For the visitor with time to spare, Hiroshima is an ideal place to base yourself from which to explore the islands of the Seto-Inland Sea, Iwakuni’s Kintaikyo Bridge, Tsuwano and Hagi in Yamaguchi, Matsue and Izumo in Shimane, or Kurashiki and Kenroku Garden in Okayama. Many of the city’s gems are hidden, but we are here to help you seek them out. By making a some effort, we are sure that you will start to see why we, as well as many others, arrived in Hiroshima as visitors and have made it our home. If you're in Hiroshima and looking for a vegan friendly bite to eat, Art Cafe Elk is a great place to check out. 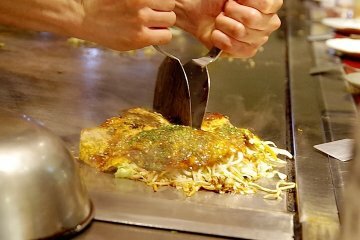 As well as..
ICHIRAN in central Hiroshima takes the ramen experience up a notch with its yatai floor. Furry felines and fizzy drinks at Maneki Neko cat cafe in Hiroshima. Chisun Hotel Hiroshima, centrally located in the downtown area, is a great place to stay if you're planning a visit to this..
Not to far from Hiroshima City there are several towns rich in tradition and niche culture that offer a more local experience. Make.. Despite the atomic devastation Hiroshima suffered under 100 years ago, it is well and truly alive today. 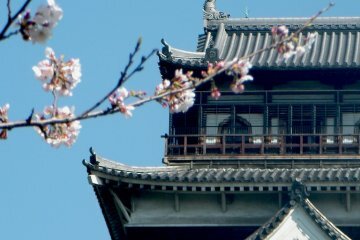 Hiroshima in spring showed us a bright and peaceful city.